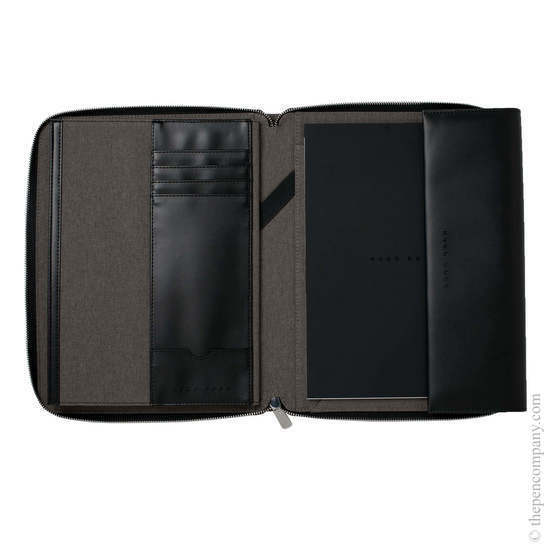 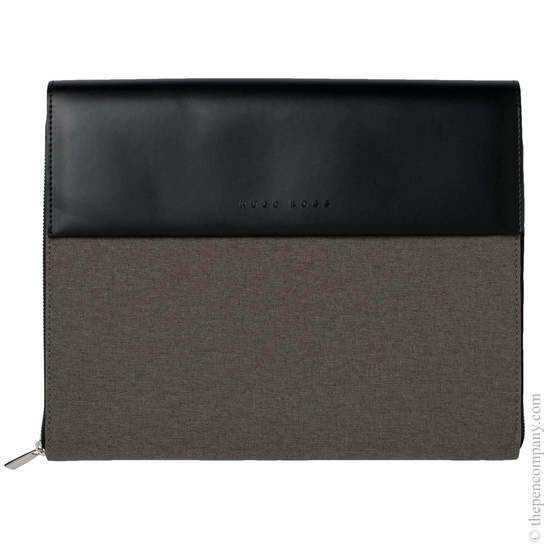 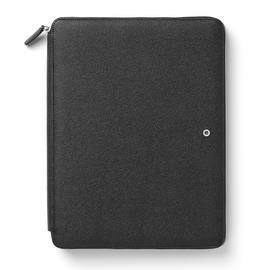 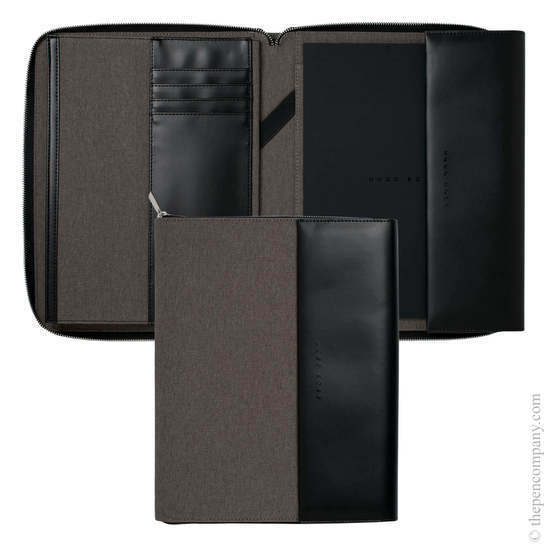 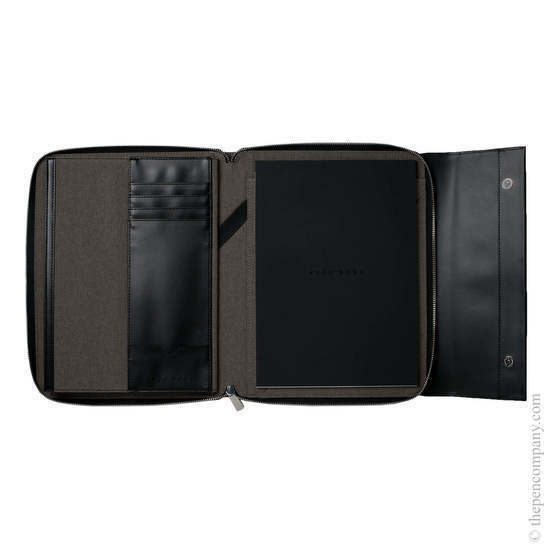 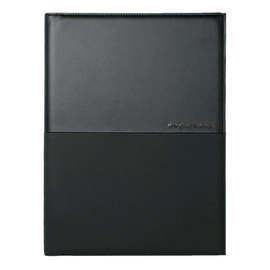 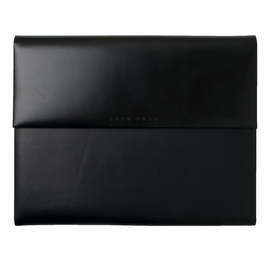 The Hugo Boss Advance conference folder combines finely textured fabric with smooth glossy black P.U. 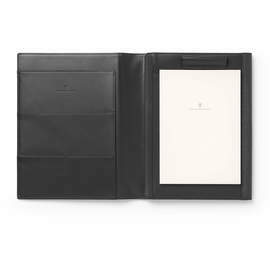 material reminiscent of leather to present a modern and refined solution to keeping documents, business cards and writing instruments in a portable format. 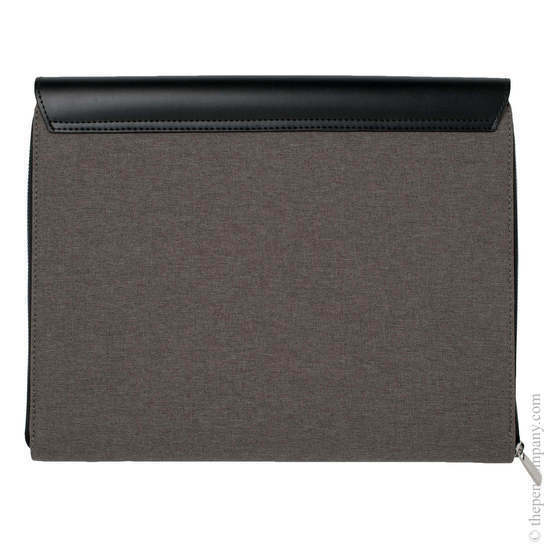 A fold-around closure uses two press studs to provide a secure fastening and features a Hugo Boss logo recessed into the smooth material. 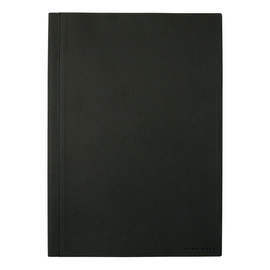 The right-hand side inside cover houses a Hugo Boss notebook in either A4 or A5 size. 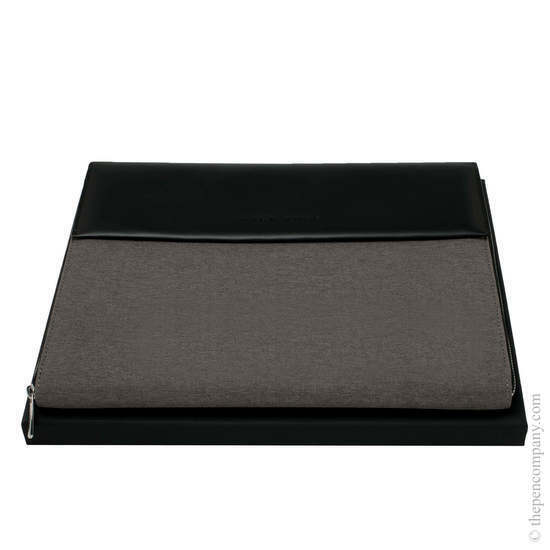 On the left is a variety of dividers, ideal for holding documents and business cards, whilst the inside of the spine features a tag of the same material for convenient stowing of a pen.